Branding yourself in real estate rarely has anything to do with what the untrained entrepreneur would assume. If for nothing else, real estate branding has less to do with your actual company’s outward-facing appearance, and more to do with they way people perceive the owner behind the curtain. 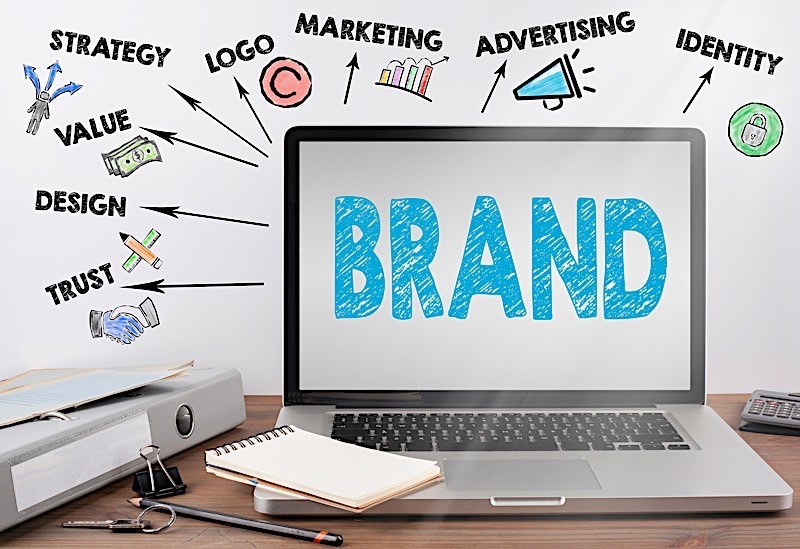 And while you certainly can’t ignore the impact of your real estate company’s branding efforts, it’s not nearly as important as the way you portray yourself. That said, it’s in your best interest (and the interest of your company) to conduct yourself in a manner that is conducive to attracting business. And for what it’s worth, there is one way I have seen investors the world over find immense success in their branding efforts: branding yourself in real estate at a local level. And why wouldn’t they? Investing locally gives you an advantage over anyone on the outside looking in. Investing in your local market should coincide with a familiarity; one that increases your knowledge of a specific neighborhood, boosts your credibility and strengthens your relationships. As an investor, there isn’t much more you could ask for, or even hope for. There is no doubt about it: investing locally can very easily tip the scales in your favor. There is no reason a local investor shouldn’t have an advantage over those unfamiliar with the area. It’s worth noting, however, that investors aren’t simply given the advantages I have touched on up to this point; they must work for them. And there is no better way to become a great investor in your own local market than branding yourself in real estate from a local perspective. Putting a local spin on your real estate branding efforts can build an instant connection between you and the community. But what does that mean for real estate investors? Let’s take a look. As a real estate investor, you need to be smart enough to ask yourself at least one branding question: what is personal branding? Even a simple understanding of how important personal branding is will go a long way in contributing to your success as an investor, but we don’t want to stop there. Only through a true understanding of the power personal branding holds over the industry in a local market will you be able to master your craft and realize the success you have always dreamed of. So let’s start with the basics. Quite simply, branding yourself in real estate is exactly what it sounds like; it’s the practice of marketing yourself in a way that advances your career and grows your business. More specifically, the concept of personal branding is centered around the idea of creating a recognizable identity within the community you wish to serve. With the right strategy, there is no reason the persona you build shouldn’t be able to establish and maintain beneficial relationships with powerful allies, connect with more leads, find more deals, build trust and loyalty and, even increase your bottom line. When all is said and done, personal branding will serve as one of your most valuable assets in a local community; it’s the one thing that will set the tone for your entire career. Remember, your name holds a lot of weight as an investor, so make sure yours is saying what you want it to. You would be wise not to underestimate the power a single name can hold. The more you can do to increase the positive perception of your business name, the better off you’ll be. But how can you do that on a local level, specifically? Thankfully, branding yourself in real estate isn’t going to be the backbreaking endeavor many make it out to be. In fact, if you follow the right steps, branding yourself at a local level can be relatively simple. To get started, simply identify your audience. Prior to setting off on any other branding adventures, be sure to identify — beyond the shadow of a doubt — who it is you intend to serve. Who, exactly, are you trying to reach? Who are your ideal customers? What problems can you solve for them? Perhaps even more importantly, how can you proceed to build relationships with said customers? As a real estate investor, you must first identify what it is you hope to accomplish. Are you looking to wholesale properties? Does your business plan center around rehabs? Maybe you favor the long-term prospects of buy and holds. Whatever the case may be, find out what you want to do, so that you may then narrow down your target customer. It’s only though getting to know your audience that you will know how to brand yourself in front of them. In doing so, you will be able to build a personal brand that doesn’t only make you look good in the eyes of those you want to impress, but also helps you effectively navigate what can be a tricky industry at times. Why would someone in your local market choose to work with you over anyone else? What is it that you can bring to the table? Is there a specific niche you would best serve? Why did you start investing in real estate in the first place? In focusing on what sets you apart from the competition, you will have a better idea of how branding yourself in real estate on a local level should look. After all, it’s only through knowing both yourself and your audience that you can even begin to entertain a sound branding strategy. Once you are confident you know what your business is and who it is intend to serve, proceed to get started on the fun part: developing a your persona. Remember, you are not selling real estate, you are selling yourself. It’s more important that people like you for who you are, and then for what you can do for them — not the other way around. If for nothing else, nobody will want to work with you if you aren’t able to develop any type of a rapport — not even if you are the best in the business. You have to be able to build a connection; one that can facilitate a deal. I maintain that the best real estate investors are the ones that can brand themselves well on a local level. That means connecting with the community in a given area on more than one level. Consider teaming up with local business to promote yourself. Better yet, start a local charity to help those around you. You would be surprised at how far some good will can take a real estate investor in today’s market. Word of mouth can spread incredibly quick with the advent of the internet, so it’s more important than ever to come off well on a local level. Branding yourself in real estate is more important than ever before. There is simply too much competition to assume otherwise. That said, branding needs to extend beyond the physical aspects of your logo design and company coordination. In fact, it’s more important that you prioritize branding yourself over your company. Only then will you be able to generate the persona people want to work with. And what is a great real estate investor if not for someone people want to work with?